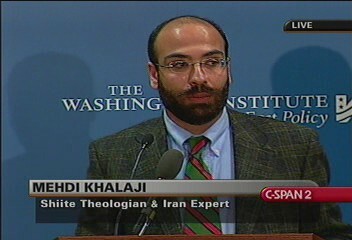 Don’t get confused by the title, that’s what the de-turbanised Iranian theologian (!) used to refer to the Sunni awakening and revival inside Iran. Most native Iranians Sunnis are either Shafi’is (Persians in Larestan, Arabs in Hormozgan and Kurds) or Hanafis (Baloch, Turkmen and a minority amongst the Azeri Turks). Terms such as Salafism or ‘Wahhabism’ are employed by scaremongers to discredit the noble cause of many Iranian Shi’ites who without any force are freely choosing Sunnism over Safavid Shi’ism, after all Sunnism was the sect that flourished more than 900 years in Iran (compared to the 500 years of Shi’ism i.e. post-Safavid Iran). More Iranians are turning to Salafism out of disenchantment with the Islamic Republic’s Shiite creeds, creating a clear threat to the regime’s rule. Iran consistently accuses the United States and its allies in the Middle East of provoking tension between Shiite and Sunni Muslims. Among these accusations is the notion that the West funds Persian-language satellite television networks whose sole goal is to ignite sectarian conflict. Tehran’s paranoid claims aside, many Persian broadcasters inside and outside the Islamic Republic are in fact engaged in a satellite war, and their various propaganda salvos point to a new phenomenon in Iran: the rise of Persian Salafism. The fact that a unique, puritanical interpretation of Sunni Islam is taking root in Shiite-ruled Iran has raised worries among the regime’s elite and the traditional Shiite establishment. Since the early twentieth century, Salafism has been spreading throughout Muslim communities from Europe to Indonesia. Yet few expected it to gain much traction in Iran given the innate antagonism between Sunni and Shia Islam. Traces of it entered the country before the 1979 revolution, but the sect did not gain popularity until fairly recently, after more than three decades of Shiite governance and regime propaganda. Today, it commands numerous active followers in Sunni areas such as Kurdistan and Baluchistan and in large, predominantly Shiite cities such as Tehran and Isfahan. The Iranian regime views religious pluralism in general as a security threat, but the rise of Salafism — a sect that regards the state’s official religion as heresy — presents more serious problems. For example, the Bahai faith is also viewed as a threat to Iranian Shiism, but its structure makes it more containable than Salafism. Bahai adherents in Iran are well organized, highly centralized, and apolitical, making them easier to track and less of a direct threat. Yet Salafis are scattered throughout the country and represented by multiple organizations with theological and ideological variations. More important, they are becoming politically active in some Sunni areas, at least in terms of publicly criticizing the government, questioning its religious legitimacy, and accusing it of discrimination against Sunnis. Since the 1950s, Salafi thought — in its general sense, which includes Muslim Brotherhood ideology — has entered Iran from the east and west. Following World War II, Sayyid Gholam Reza Saeedi (1895-1990), an Iranian religious author and translator, traveled to India and acquired extensive knowledge about the international Muslim community and elite. When he returned home, he began to translate works by Abul Ala Maududi — the main ideologue of Pakistani group Jamaat al-Islamiyah and a prominent Salafi — as well as other Muslim thinkers (e.g., Muhammad Iqbal). A prolific author, Saeedi played a significant role in introducing Persian readers to Indian Muslim concerns and the challenges of founding a new country, Pakistan. His works opened a new window to Iran’s religious world, influencing younger readers who were seeking new ideas on Islam in order to ease their frustration with the religious establishment and confront ideological threats (especially the communist wave that was taking over Iran’s intellectual environment at the time). Meanwhile, other prerevolutionary Iranian thinkers introduced the country to the Salafist ideas of Egypt’s Muslim Brotherhood. In the late 1940s, cleric Navab Safavi formed Fadayan-e Islam, the first Iranian Islamist group to establish relations with the Brotherhood and produce Persian translations of its writings, including the works of theoretician Sayyed Qutb. Another prominent cleric, Sayyid Hadi Khosrow Shahi (b. 1938), translated writings from Algerian, Tunisian, and Palestinian Islamists in addition to Brotherhood works. These and other translators were essentially political activists who sought to raise their countrymen’s awareness of Muslim issues outside Iran. For example, the Islamist works they reproduced eventually created a new political question in Iran: the Palestine question. While these translations were mostly received as ideological efforts to mobilize Iranians against Muhammad Reza Shah Pahlavi’s regime and Western imperialism, Salafi thought also spurred some religious thinkers to fight “superstitions” in Shiism. Haidar Ali Qalamdaran (1913-1989) was heavily influenced by such writings and sought to purify Shiism of various prayers, rituals (e.g., pilgrimages to the shrines of the Shiite Imams of old and their descendants), and beliefs (e.g., the notion that the Shiite Imams had supernatural power and knowledge). He escaped an assassination attempt ostensibly motivated by traditional clerics in Qom and spent his whole life in isolation and poverty. Although he was not a political activist, his views had political implications in later years, such as refuting the legitimacy of the type of religious governance instituted by the Islamic Republic. He and others who criticized Shiite “superstitions” — such as Muhammad Hassan Shariat Sanglaji (1855-1943) and Sayyid Abul Fazl Borqei (1909-1992) — were also influenced by the Salafi conception of Islamic dogmas, especially the sect’s interpretation of the unity of God. 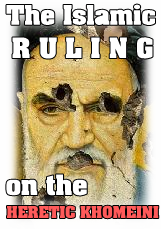 Under the Islamic Republic — a regime that legitimizes the exclusive rule of the ayatollahs, makes Islamic law the main basis for legislation, and imposes it on all aspects of daily life — many youths and other Iranians have turned away from Shiite convictions and embraced atheism, skepticism, Sufism, Sunni Islam, the Bahai faith, evangelical Christianity, Zoroastrianism, Buddhism, and New Age and Latin American mystical trends. Various regime organizations, including the Bureau of Religions and Sects in the Ministry of Intelligence, monitor these religious minorities and work against their proselytization efforts. Even Sufi circles — which are officially Shiite — face frequent repression. In this environment, Salafism has rapidly spread all over the country through the internet, social media, and satellite television. In addition, various underground organizations offer training courses for young volunteers and run exchange programs to introduce Iranian Salafis to Arab Salafis in Saudi Arabia and elsewhere. This is one of the reasons why the regime does not allow Sunnis to build mosques in Tehran or other large cities — it is deeply concerned about Salafis using them to recruit young Shiites who are frustrated with the Islamic Republic’s ideology. There are two major Shiite trends in Iran: the official regime creed, and an extremist version that defines itself largely in opposition to Sunni Islam. While the regime usually dismisses Sunni-Shiite tensions and advocates pan-Islamic approaches to foreign policy and other matters, the extremist Shiites (called gholat or velais) refuse to hide their animosity toward the first three Sunni caliphs (i.e., the Prophet Muhammad’s successors, whom Shiites believe usurped Imam Ali’s right to rule). These extremists are backed by clerical authorities, and their explicit anti-Sunni propaganda has caused trouble for the regime both inside the country and throughout the wider Muslim world. In recent years, the gholat have relied in large part on satellite television to disseminate their propaganda, sparking an escalating virtual war between Salafis and Shiites. Today, Salafis use Persian-language satellite outlets such as the Global Kalemeh Network (based in Medina and Dubai and probably funded by Saudis) and Wesal Farsi (based in London and the Persian Gulf) to fight the “Safavid government,” as they call the Islamic Republic and its Shiite ideology. They broadcast religious programs, take calls from Iran, and engage in debates with Shiite satellite networks such as al-Kawthar TV, the Global Ahl-e Bait Network (whose programs are hosted by an Afghan cleric), Imam Hussein TV, and Salaam TV (based in Virginia and supported by the Shirazis, a clerical family with significant influence among Gulf Shiites). Salafis and the Muslim Brotherhood also use various websites to fight the propaganda battle, some affiliated with organizations such as Jamaat-e Dawat va Islah-e Iran (the Society of Mission and Reform in Iran). On the other side, extremist Shiites run dozens of their own websites to confront the Salafis. Both sides are very active in social media as well. Many Iranian youths are disappointed in the Shiism professed by the regime and traditional clergy but wish to maintain their Islamic faith, leading them to convert to Salafism. The Muslim Brotherhood and other Salafi trends tend to focus on the unity of god and the desacralization of all human beings and worldly things — a unique way of secularizing and rationalizing Islam in order to attract young students, especially those who study science. Unlike traditional Sunnis in Iran and Salafis elsewhere in the world, Iranian Salafis tend to question the Islamic Republic’s religious legitimacy and purposefully exacerbate Sunni-Shiite tensions. To be sure, they do not share the global Salafist aspiration of taking over political power, knowing that any Islamic government in predominantly Shiite Iran would be a Shiite government. Yet Iranian Salafis are organizationally connected to potent groups in Saudi Arabia and other countries, and most of their ideology and funding comes from outside the Islamic Republic. Given these factors and the increasing resentment among Iran’s Arab, Kurdish, and Baluch population, the growth of Salafism is a clear security threat to the regime. This entry was posted in N E W S, The People of the Sunnah in Iran. Bookmark the permalink.